Here in this post, we will provide you the top 10 styles that are predicted to be on top in the current year 2017. You will be aware about the styles of bell sleeves, high neck tops, denim etc. Below, you can know about the latest trend for the current year. 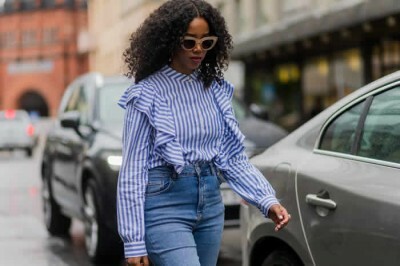 The time has come to adopt bell sleeves and shun off the shoulder look. The trend was also present in 2016 and you can easily use it this year also. Use the option of DIY to make your denim jacket stay for longer. There is no reason to avoid this due to inclusion of so many inexpensive options. Pajama like tops, suits and dresses are trendy in 2017 which is good news for those who gives importance to comfort. Neutrals are getting lead over colors this season as you can pair them with almost everything in our wardrobe due to versatile shades. Denim is still there in this year also and you can have them in various styles from distressed jeans to lighter shades. Due to election year, political tees were much inn in the year 2016. In this year, we will see more political debate which is the reason for this style will remain in there in 2017 also. Gucci loafers spread this fashion but we have seen several versions of the style since then including furless, velvet and suede. You can also get the style in economic prices. 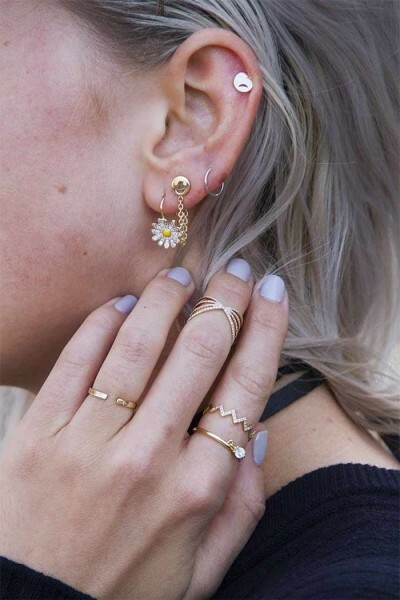 The time has come to stack your earrings in place of loading your rings. You can get a statement look by wearing multiple stud instead of one earring trend. Due to presence of this trend on runways, the 80s inspired style is one of the most searched styles. You can give a twist to this style by using some new outfits. You should invest on the style this year as it was one of the most searched style on internet for 2017.